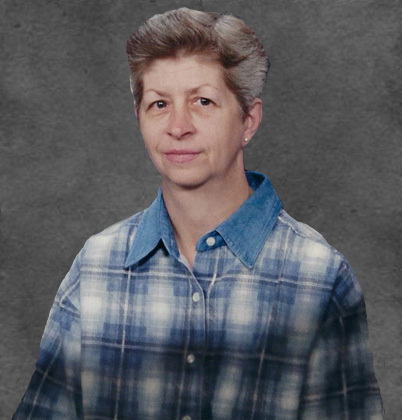 Mrs. Janet S. Terhune 72, a resident of Trenton died Saturday, March 16, 2019 at 11:20 A.M. at Liberty Hospital, Liberty, Mo. A memorial visitation will be held Saturday, March 23, 2019 from 1:00 P.M. to 3:00 P.M. at Whitaker-Eads Funeral Home, Trenton. Memorials to Liberty Hospital Palliative care and may be left at the funeral home. Mrs. Terhune was born Sept. 18, 1946 at Bethany, Mo. to Robert and Betty Whitaker. She enjoyed cooking, cleaning house, thrifting, sewing and quilting, helping others and spending time with her children and especially her grandchildren. On November 11, 1967 she was married to John Terhune. Her survivors include her husband John of the home. One daughter Deidre Sue Benda and husband Joel, Excelsior Springs, Mo. One son Scott Terhune and wife Amanda, Cameron, Mo. Three grandchildren Mackenzie Sue and Dakota Carson Terhune, Cameron and Nakyla Marie Sue Benda, Excelsior Springs. Two sisters Norma Brazzell, Bethany, Mo., Reva Carter and husband Eb, St. Joseph, Mo. Two brothers Robert Bud Whitaker and wife Jeanie, Bethany, and Roger Whitaker and wife Cecelia, Bethany. Several nieces and nephews also survive. She was preceded in death by her parents and one sister Donna Whitaker.